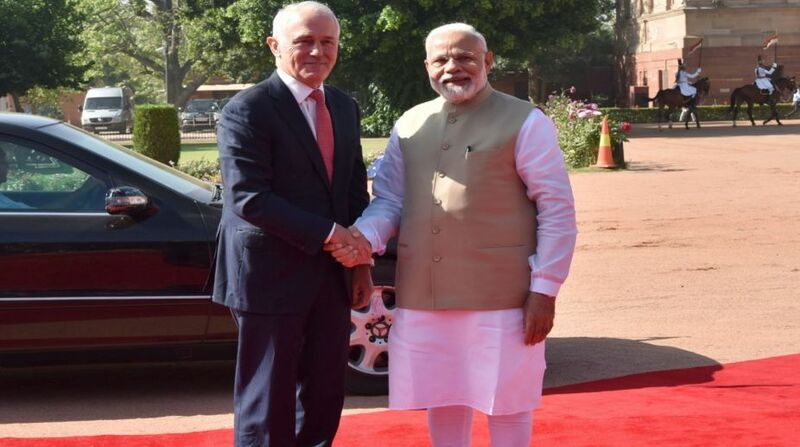 Prime Minister Narendra Modi and Australian Premier Malcolm Turnbull on Monday jointly inaugurated the TERI-Deakin Nanobiotechnology Centre following delegation-level bilateral talks. The two leaders inaugurated the centre via video-conferencing from Hyderabad House. Jointly addressing the media along with Turnbull, Modi said that the centre was a classic example of bilateral cooperation in the cutting-edge science and technology. TERI-Deakin Nanobiotechology Centre (TDNBC) at TERI's Green Campus in Gurugram, Haryana, is a pioneer research centre in the field of nanobiotechnology research in India. The centre offers joint Ph.D. programme by TDNBC, India, and Deakin University (DU), Australia, where selected students are provided fellowships, jointly supervised by both TDNBC and DU, and receive degree from DU.